Spring has officially sprung, but it’s not too late to make some important changes to the inside and outside of your home to prepare it for the new season. Many parts of your property may have been out of commission and locked up during the colder months. It’s time to bring these areas out of hibernation and back to life. Additionally, your home may have been battered, bruised and dirtied by the winter weather, so the spring clean is a great time to deal with these problem areas. Want to know more? Read on for our guide to preparing your home for spring. The spring clean is the perfect time to do all those big jobs you’ve been putting off all year. For example, these will include cleaning windows, defrosting the freezer and cleaning the oven. It’s also a good time to inspect your interiors for areas that need repair or replacement. Lighting fixtures don’t get updated very often, but spring is the perfect time for this. Jeremiah Lighting – Craftmade Brand have a number of stylish and practical options. Take this opportunity to make sure your interior systems are in good working condition. 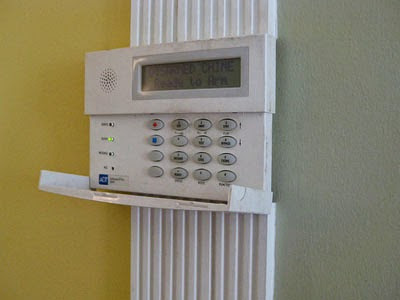 These include the heating, ventilation, air conditioning systems and the security and safety systems. Give them all a test run and pay attention to anything that looks or sounds out of the ordinary. Remove any leaves, branches and other debris from your gutters and downspouts. In the springtime, there are always a number of heavy downpours so it is important to ensure your drainage is clear and can do its job properly. In another measure to protect your home from spring rain showers, check your roof for any damage. 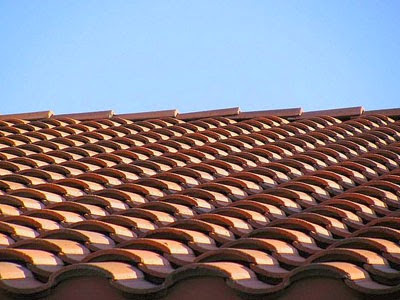 High winds and other bad conditions you may have experienced during the winter could have resulted in cracks, loose or missing roof tiles. If you are unable to see any damage from outside, double check by entering your loft space. If there are areas where light is getting through, this means rain will get through too. No doubt you will be aiming to spend more time outside as the weather begins to warm up. It is a good idea to check all your outdoor light bulbs are working, and to replace those that aren’t. Outdoor light fittings will probably require a good clean and polish after exposure to the winter elements. If your furniture has been battered and bruised by the winter weather, it will probably benefit from a bit of TLC. All types of outdoor furniture can be cleaned and hosed down. They should then be sanded, treated or painted, depending on the material they are made of. Your external doors may look weathered, and their hinges may have become rusty. You may need to clean them, paint them and polish and oil the hinges. Congratulations, your home is ready and raring for spring!